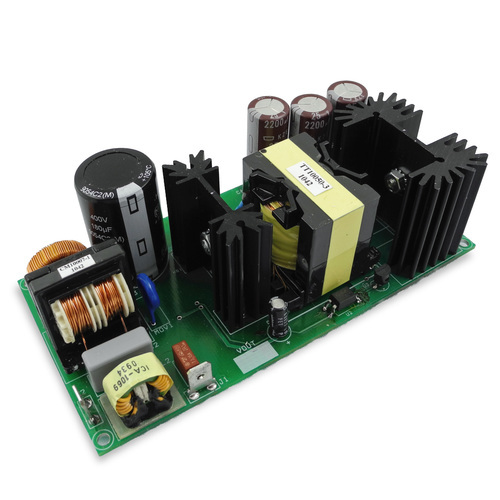 ICE offers a wide array of pre-engineered power supply solutions to get you up a running quickly. ICE offers a wide array of pre-engineered power supply solutions to get you up a running quickly. Solutions cover a power range from 30W up to 1kW with a selection of topology choices. Both analog and digital control are supported. Design capabilities include the PSU hardware as well as software solutions including PC applications, real time fault monitoring and data logging. Pre-engineered to simplify the design and implementation of custom power supply solutions for the most demanding applications. ICE has designed a line of easily customizable single output power supplies, allowing us to quickly and efficiently vary the size, footprint, power rating and voltage rating to meet your custom needs. The ICE 90W design is based upon state of the art TI Quasi-Resonant technology for control and safety. ICE has invested in the engineering and has the experience to quickly adapt this design to most custom needs.